Home Compare Car Insurance Looking For The Best Car Insurance Quote in Arizona? 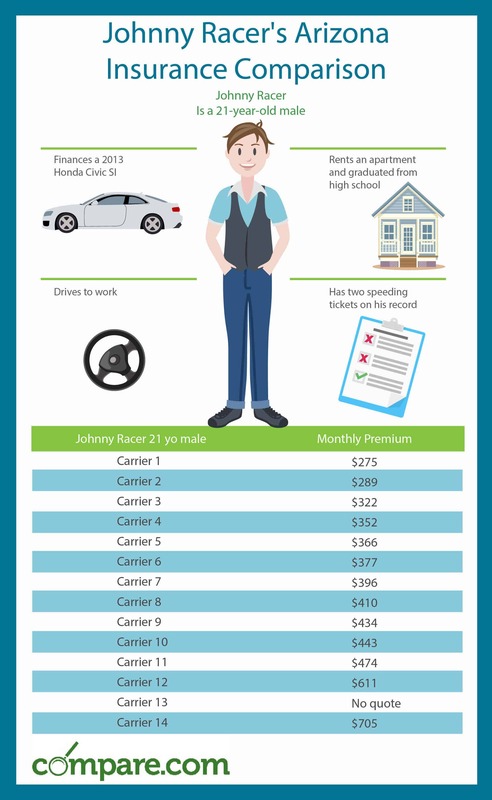 Looking For The Best Car Insurance Quote in Arizona? Your car or truck is an essential part of your life. Not only does it get your kids to school, but it transports you to and from your work, and to the grocery store, and it supplies the means to enjoy and explore the rest of the world. Getting affordable car insurance in Arizona is a necessity. And it’s one that we can help you within our guide to Arizona car insurance comparison. 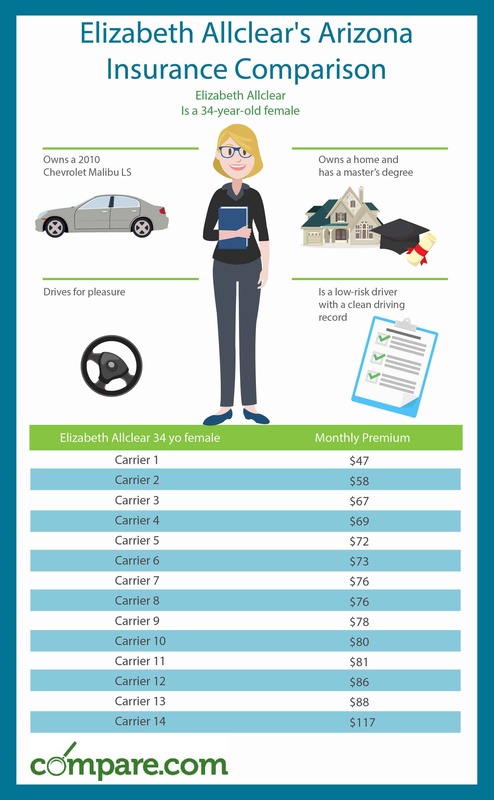 Which Arizona Car Insurance Company Should I Choose? Plenty of insurance firms get your attention with print, web and TV ads. And some even feature a memorable character like Flo from Progressive or the British-inflected gecko from GEICO. But just because a company has a cute mascot doesn’t mean it necessarily offers the best rates. You have to shop around before you purchase a policy. This coverage will pay for damages you cause when you’re at fault for an accident. 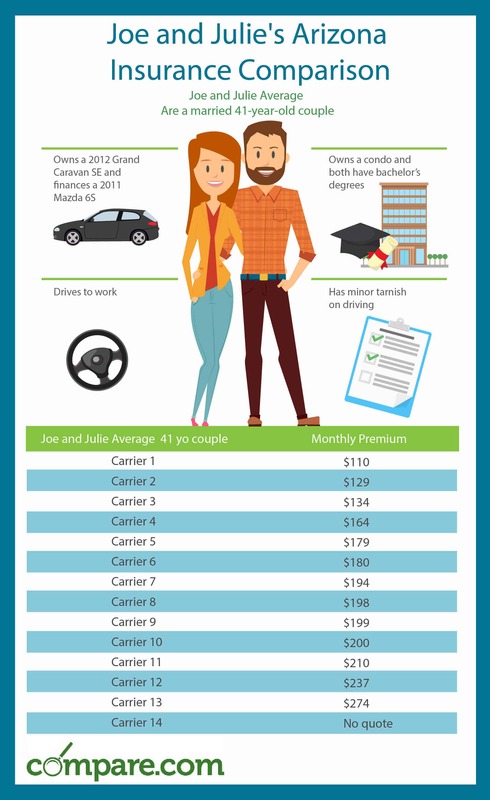 Whatever amount of coverage you carry is the amount of coverage your insurance carrier will pay on your behalf. That’s why it may be a smart idea to carry more than the state minimum. You don’t want to have to pay thousands of dollars out of pocket because you didn’t spend an extra hundred bucks on your six-months policy to get more coverage. Now that we know how much coverage we need in Arizona, let’s see how much coverage costs. We ran three different profiles through our customer quoting portal. Each profile has over a dozen insurance company options with a wide variety of prices. That’s why it’s important to compare Arizona car insurance quotes. Imagine being Elizabeth Allclear, paying $117 when she could be paying $47. Honestly, that might be you if you haven’t done an Arizona car insurance comparison lately. Don’t worry, we make it easy. Enter your details once and we’ll match you with several companies in your customized, real-time Arizona auto insurance quote. Don’t just guess who will provide you the best coverage for your money. Get a quote today and know for a fact that you’re saving. But you might also be wondering how prices can vary so much. We can explain that, too. We’ll start with insurance rating variables in Arizona. In the United States, individual states determine how claims are handled by designating themselves “fault” or “no fault” states. This is how they determine whose insurance pays first when a collision occurs. For example, Arizona is a “fault” state, which means any time an accident occurs, the party who is at fault is liable for damage and injuries. That driver’s insurance policy pays for damages first. After the coverage of that policy has been exhausted, the other person who may not be at fault may still have to use his or her policy to cover the remainder of the costs. In a “no fault” state, like New Jersey, injury liability claims and lawsuits are eliminated in small accidents. Instead, the injured person’s insurance company pays up front for medical bills and lost wages (up to a certain amount), regardless of who is at fault. 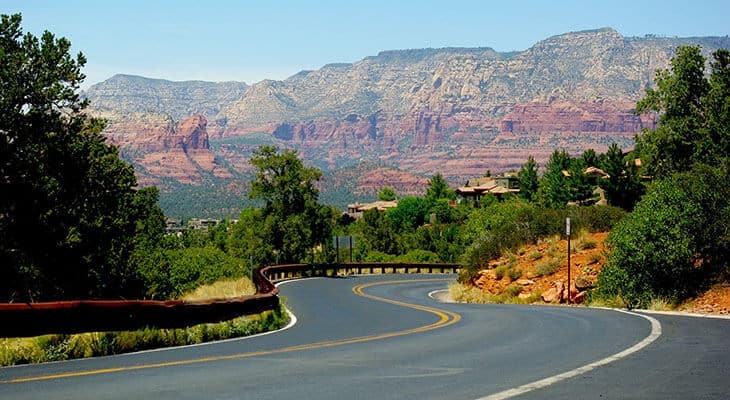 An interesting note about insurance coverage in Arizona is that drivers may choose to self-insure by purchasing a $40,000 minimum bond and filing proof with the DMV.